The AR500 Armor® Micro Plate Carrier is the industry’s leading option for running 8" x 10" body armor on both small and large frame operators! 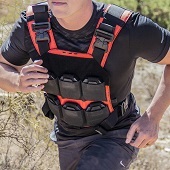 Built from the ground up to be rugged, comfortable, and versatile, our Micro Plate Carrier accommodates a wide range of applications and sizes. The AR500 Armor® Micro Plate Carrier is an excellent option for small or female frames, or those looking to reduce weight but still gain protection of your vitals. 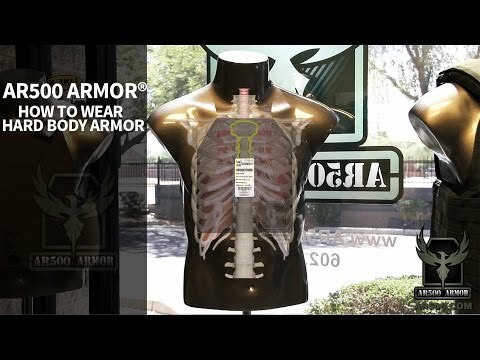 Make no mistake, our 8" x 10" body armor still provides adequate coverage of your heart, blood vessels above your heart, and a good portion of your lungs even on larger individuals. It's a common misnomer than larger is better. When it comes to armor, protection and mobility are the ideal choices. The AR500 Armor® Micro Plate Carrier is compact yet effective for a variety of frames, youth to adult. 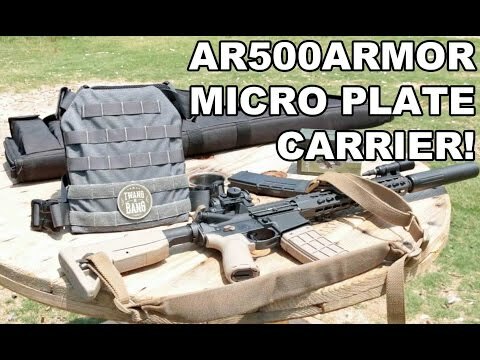 The AR500 Armor® Micro Plate Carrier is the compact plate carrier you've been looking for, constructed to be comfortable, ruffed, and reliable! Compatible with all 8" x 10" hard and soft body armor and trauma pads. New Variant now available! Micro Plate Carrier Slick Side: Our Slick Side variant does away with QD Cobra buckles on the shoulders & sides; replacing the top shoulder buckles with ITW Nexus loop locs; side buckles are replaced with ITW Nexus standard 2" buckles. All webbing on the back side of the Micro is removed and replaced with a 4" Velcro ID Panel. Front side webbing includes 3 bottom rows with Velcro, compatible with all standard mag pouches and chest rigs, accompanied by a 4" Velcro ID panel up top. If you are searching for a minimalist or 8x10 plate rig then don't hesitate to buy this. I only found one other serious vendor of an 8x10 option named Beez. They had very friendly customer service but they were about $50 more at the time. Fit- I'm tall 6'4'' and skinny. I have a 40 inch wide chest and long midsection. The shoulder straps are maxed out, but lots of room left for the side strap length. I'm guessing it could fit up to a 38 inch pant waist size (I'm a 31 inch waist). Quality- Fantastic stitching, durable, great color (wolf grey). Ergonomics- This is the main reason I chose this platform. Lots of good reasons to switch to the micro size. I will list a few here. 1) Weight: My final weight of my rig with a triple AK Mag pouch, and a first aid kit comes out to 17 LBS! My previous 10x12 setup with a Condor sentry was about 31 lbs! I'm using level III AR500 steel plates. Though you decrease your surface area protection by 25%, you also decrease the weight by nearly HALF! Do the math. This is a reasonable tradeoff in my opinion. 2) Mobility: I practice systema, and one of the tenets of systema is movement, this includes lower acrobatics. I can effortlessly practice my rolls and movement drills without fatigue or bulkiness shifting around. 3) LOP: The cut allows for proper shouldering of the rifle without adjusting length of pull (good for ak stocks). I have three of these (Slick Side) with hard plates and Trauma Pads (front and back). I have one for each member of my family, if not for one issue I would have rated this an "Excellent". The only problem I have with this carrier is the back upper strap loops will turn from their horizontal position to vertical, and after wearing it a while you feel the small bulge of material dig into your shoulder blades. I have to find some way to fix this, I may have to run an extra stitch or two in that area, hopefully that will help. These are great carries and supper for the price, it does take a while to get them after you order them, but I would rather wait to get quality than something fast and cheaply made. The 'wolf gray' is an awesome color and I am overall very pleased with it.